What to give to baby? At what age ? And in what quantity? Discover the food diversification plan to help you in this learning of taste. Food diversification often looks like a puzzle, especially when you’re a parent for the first time. All pediatricians, health organizations, studies and relatives do not share the same opinion, and there is something to be lost. 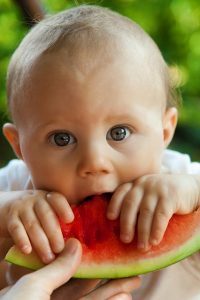 To help you, here is a compilation of foods to introduce age by age, from breakfast to dinner to introduce new flavors to baby and bring him a more varied diet.